Flip a coin. 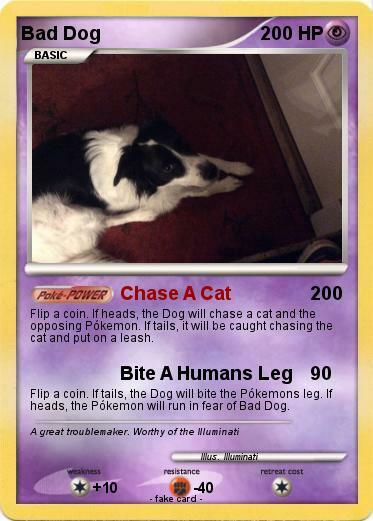 If heads, the Dog will chase a cat and the opposing Pókemon. If tails, it will be caught chasing the cat and put on a leash. Flip a coin. If tails, the Dog will bite the Pókemons leg. If heads, the Pókemon will run in fear of Bad Dog.